Deliciously warm, woozy electro-house soul seduction; the first statement by Wiesbaden's Florian Kupfer. Evidently influenced by the most mellow E.R.P. 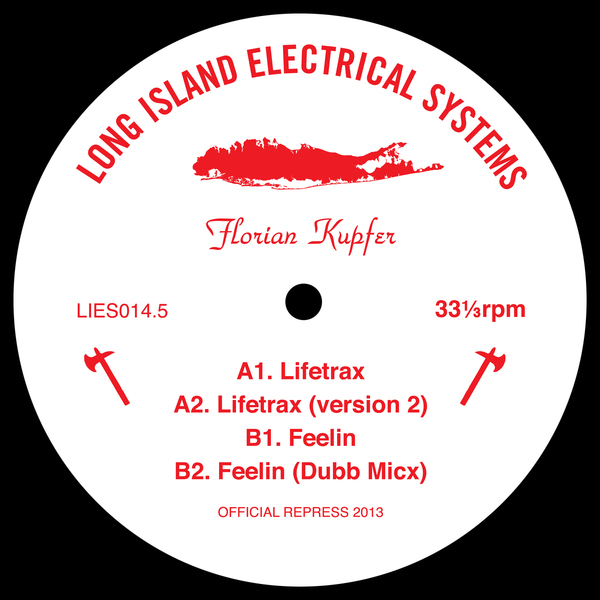 romantics, early AI bots and US garage pioneers, Kupfer has concocted a yearning, burning and ever so slightly noirish sound that fits perfectly with the L.I.E.S. ethos. The top face is greased with his electro-soul flavours, namely the deft 808 ripples, chiming keys and wriggling, Mr De-style bass of 'Lifetrax' and its sublime, In Sync-like 'Version 2'. 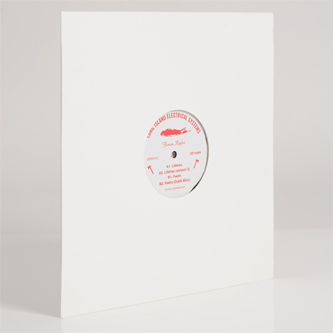 The other side is for 'Feeling', riding dustiest toms and crunchy claps for that smudgy 6am effect, while the 'Dub Micx' stirs in a trace element of Badalamenti-esque pads to the kind of rugged swing groove you'd expect from Levon Vincent. Tipped!